Bigfoot News | Bigfoot Lunch Club: Did The Chief Texas Game Warden Say it was OK to Kill Bigfoot on Private Property? Did The Chief Texas Game Warden Say it was OK to Kill Bigfoot on Private Property? 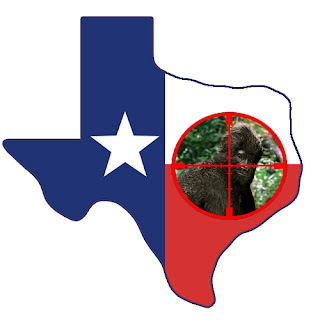 In a recent report by Fox News titled "Killing Bigfoot OK in Texas – if he's Texan" indicated that L. David Sinclair, the Chief of Staff of the Law Enforcement Division of the Texas Parks and Wildlife Department, responded to an email by John Lloyd Scharf regarding the legality of killing Bigfoot. The email in question was originally sent to Peter Flores, the Texas Parks and Wildlife Department Law Enforcement Division Director. Peter forwarded it Sinclair and asked him to respond. In the end Sinclair basically said it was legal to kill a non-protected nongame animal (Bigfoot?) in Texas as long as it is on private property. Although Sinclair never used the word Bigfoot, it was in response to Scharf, it is clear that Scharf was asking about Bigfoot in particular. If you read the Fox News article it seems that L. David Sinclair was walking his response back a bit. Sinclair claimed his response has been taken wildly out of context. John Lloyd Scharf sent is a copy of the email exchange and we will let you judge whether or not L. David Sinclair knew whether or not John Lloyd Scharf was talking about Bigfoot. If a species is unlisted and an unknown new species, is there an open season and blank permit to take that species? Several groups of individuals claim they have talked to game officials in Texas about this issue. They have framed it within the supposed existence of the "Bigfoot." I have said no wildlife may be taken without the permission of the people of Texas. So, my question, generally, is whether they are allowed to kill and take wildlife that may be native to Texas without a season or a permit? Texas Law: PARKS AND WILDLIFE CODE - TITLE 5. WILDLIFE AND PLANT CONSERVATION - SUBTITLE B. HUNTING AND FISHING - CHAPTER 61. UNIFORM WILDLIFE REGULATORY ACT:SUBCHAPTER B. PROHIBITED ACTS Sec. 61.021. TAKING WILDLIFE RESOURCES PROHIBITED. Except as permitted under a proclamation issued by the commission under this chapter, no person may hunt, catch, or possess a game bird or game animal, fish, marine animal, or other aquatic life at any time or in any place covered by this chapter. And here is the response from L. David Sinclair after it was forwarded to him from Peter Flores. The statute that you cite (Section 61.021) refers only to game birds, game animals, fish, marine animals or other aquatic life. Generally speaking, other nongame wildlife is listed in Chapter 67 (nongame and threatened species) and Chapter 68 (nongame endangered species). "Nongame" means those species of vertebrate and invertebrate wildlife indigenous to Texas that are not classified as game animals, game birds, game fish, fur-bearing animals, endangered species, alligators, marine penaeid shrimp, or oysters. The Parks and Wildlife Commission may adopt regulations to allow a person to take, possess, buy, sell, transport, import, export or propagate nongame wildlife. If the Commission does not specifically list an indigenous, nongame species, then the species is considered non-protected nongame wildlife, e.g., coyote, bobcat, mountain lion, cotton-tailed rabbit, etc. A non-protected nongame animal may be hunted on private property with landowner consent by any means, at any time and there is no bag limit or possession limit. An exotic animal is an animal that is non-indigenous to Texas. Unless the exotic is an endangered species then exotics may be hunted on private property with landowner consent. A hunting license is required. This does not include the dangerous wild animals that have been held in captivity and released for the purpose of hunting, which is commonly referred to as a “canned hunt”. If you have any questions, please contact Assistant Chief Scott Vaca. I have included his e-mail address. I will be out of the office and in Houston on Friday. When I asked him, I said "Bigfoot or unidentified species." While his answer contained a great deal of fogging, it did answer the question. Why? Because, as he points out, all "non-game" wildlife is spelled out in the law. A non-protected nongame animal may be hunted on private property with landowner consent by any means, at any time and there is no bag limit or possession limit. An exotic animal is an animal that is non-indigenous to Texas. Unless the exotic is an endangered species then exotics may be hunted on private property with landowner consent. A hunting license is required. BF is not protected and is not a game animal and is not listed on the Endangered Species List. Believe me, I checked out every possible detail on this issue. There is no doubt in my mind you were thorough in you investigation. So, it is the case all individuals of an unknown species, and therefore not be listed as an "endangered" under the Endangered Species Act of 1973, could be exterminated without criminal or civil repercussions - essentially causing extinction? In some States all wildlife is owned or held in trust to the State for the People, but not Texas. Is it possible to get a signed statement to that effect? Private owners possess over 35,000 big cats in Texas. Private hunts, even of some endangered (on a world level) species, does occur, behind 10' fences. Chumming/baiting is also big. Texas lacks Federal Lands, a shortsighted negotiation by their founding fathers. I believe they still use the "rule of capture" for oil/gas and water. Meaning if you have the resources to grab it, take it. Texas is special, in Law, anyway... and the contrast with say, California, is dramatic. At any rate, I personally don't put much store in this "letter," as the "end all," as this man is the Texas State law enforcement for Parks and Wildlife, and it is not clear to me this would be the only potential agency with jurisdicition. The AG might weigh in, as might the Feds. And, if public opinion is too hot, even Sinclair may find a need to cite a killer of a BF. But, don't you think if the Gov wanted this proven they would? Or a University? Seems to me the only ones who want it proved are the ones who want credit for doing so.